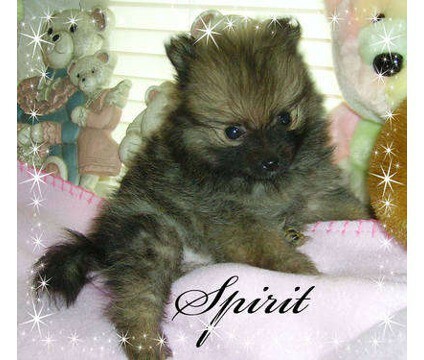 Pomeranians, love their personalities and attitude. We have no human children-Just poms. Our lives revolve around them. We have no outside sheds/kennels or runs. All of our babies are right under our feet, in our chair, and in our face all the time. We don’t take vacations or travel. Work and home-That is what we are all about. Our poms are a bit rowdy-but that is because we play with them daily. It is so much fun to see how smart they are and can pull things on us. They are very special. Each and everyone of them. We have been blessed.